Vietnamese Coffee Ice Cream Vietnamese Coffee Ice Cream at Humphry Slocombe Ice Cream. With flavors like Secret Breakfast (bourbon and cornflakes), Collaborative Evil Ale, Government Cheese and Pistachio-Bacon, it’s easy to dismiss San Francisco’s Humphry Slocombe Ice Cream as another hipster trend. I admit that I was skeptical when I queued in line at their Mission District store but my doubts were quickly erased once I had a taste of their ice cream. The staff at Humphry Slocombe are happy to provide little samples of whatever their twelve flavors of the day are if you simply ask. After a couple of tastes that I didn’t really care for (Salt and Pepper and Strawberry Candied Jalapeno), I decided upon their Blue Bottle Vietnamese Coffee ice cream. 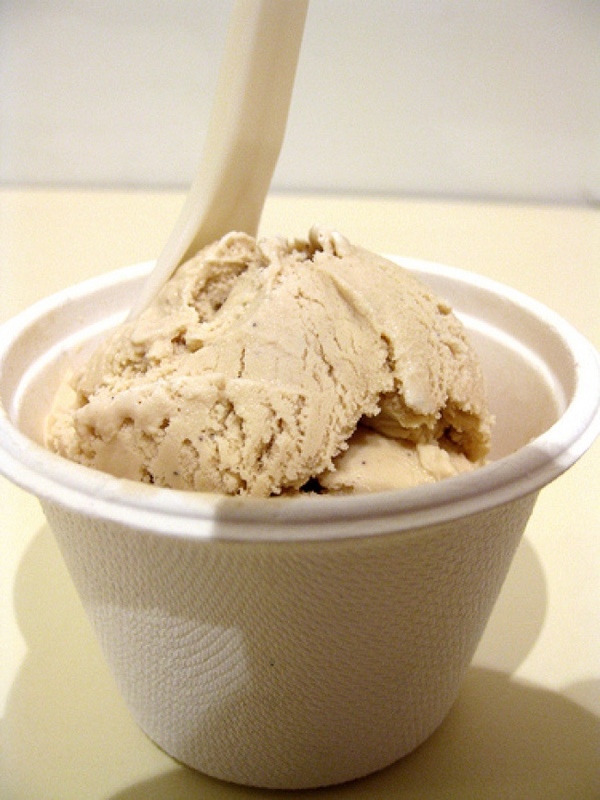 I love Blue Bottle coffee, and I love Vietnamese coffee, and I love ice cream. I love this flavor. Despite some of the more wacky combinations, Humphry Slocombe does an excellent job of hitting the nail on head when it comes to flavor accuracy. Plus it doesn’t hurt that their ice cream is incredibly rich and creamy. I keep hearing that Secret Breakfast is among their best flavors so I already know what I’m ordering the next time I go. That being said, it’s going to be a challenge to keep myself from ordering flavors like Boccalone Prosciutto or Peanut Butter Curry out of sheer curiosity. Even if some of Humphry Slocombe’s flavors border on comical, they’re serious about quality. Just make sure to sample your flavors before you order.